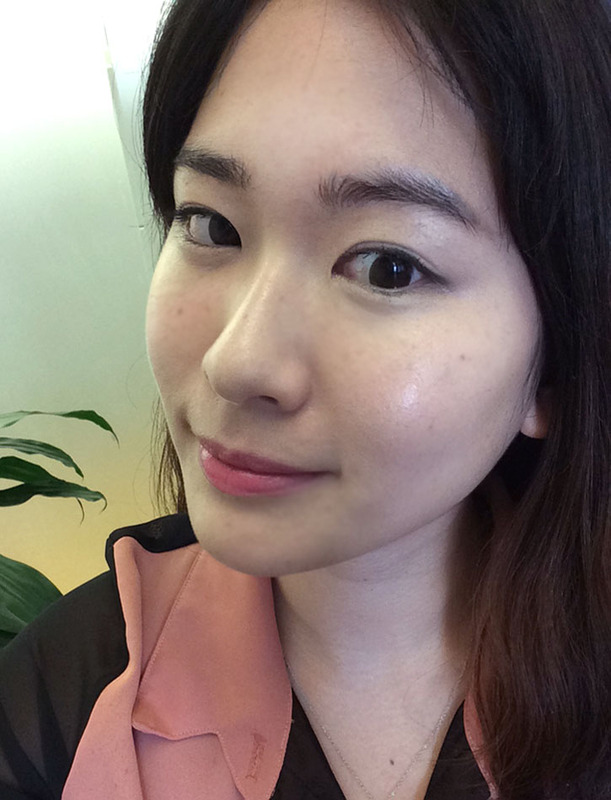 We are thrilled to introduce our intern Elle, who has a bi-cultural background (Korea and U.S.) and loves skincare, just like the founders of Glow Recipe. Thanks to her discerning eye, Elle has been a critical member of the team, especially when it comes to product testing – here’s her journey with one of our obsessions: the skin mist. 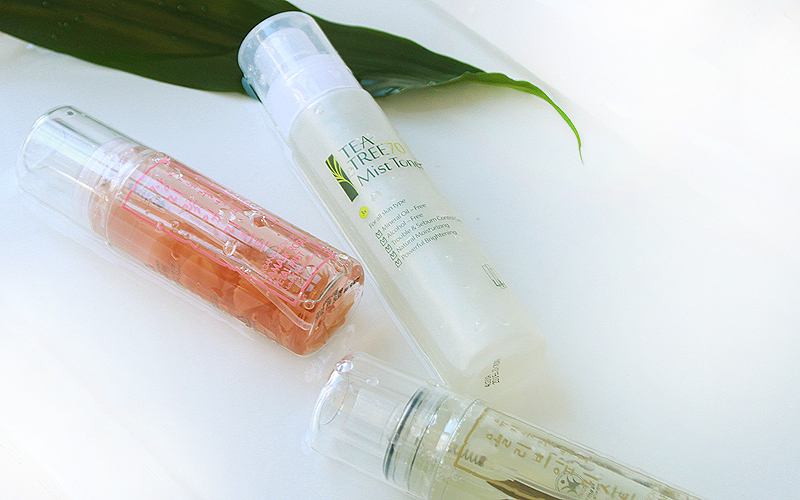 To be honest, until recently I have not explored the “mist-ique” of a hydrating spray. 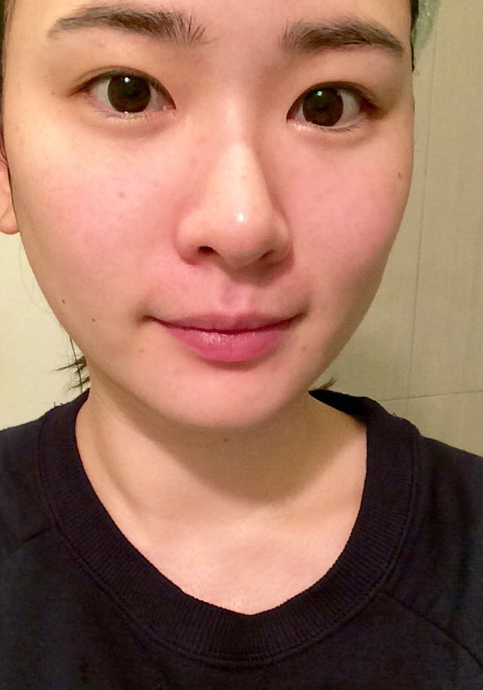 I have combination skin that’s sometimes oily, and I don’t feel like my skin is that dry. Mists seemed like something only people with extremely dry skin would use. I became curious though during my last trip to Korea when I saw it featured in every cosmetic aisle and major beauty magazines as the new ‘must-have’. I became even more curious about this untapped territory in my skincare routine, after I saw my cousin- who boasts porcelain skin without ever wearing makeup- spritzing her face with a mist throughout the day. I dug into some research, and it turns out that mists have come a long way since simple H2O sprays. These days, mist products are infused with a range of skincare benefits, on top of instantly creating a film of protective moisture on skin for a glowing radiance. Korean women also believe that it’s critical to hydrate skin right away after cleansing to prevent moisture from evaporating and maintain a balanced moisture level in your skin – which a spray mist perfectly delivers. Still, I wondered- is it for me? See-for-yourself kind of a girl that I am, I had to try it out. I picked LJH’s Tea Tree 70 Mist from the meticulously curated Glow Recipe collection and documented it over a 24 hour period. 9PM. Got home after work, had dinner, changed, and ready to wash my day off! 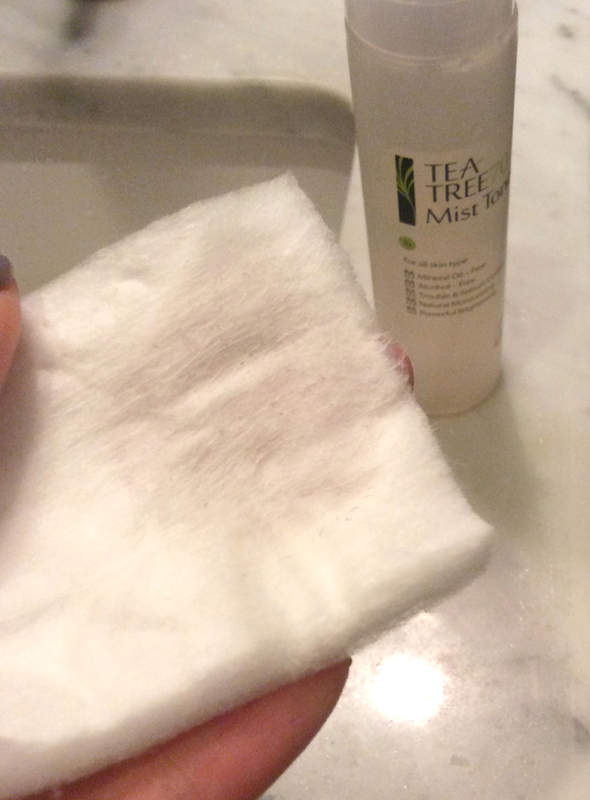 After cleansing, I first used this product as a toner to balance and wipe out any residue, which also has soothing benefit from Tea Tree extract. Sprayed two times onto a cotton pad and used it as a toner. It felt lightweight, soothing and clean. Right after that, I sprayed a few pumps onto my skin about 8-10 inches away, since spraying it too close to the face prevents even dispersion. This mist is instantly absorbed into the skin, so I didn’t have to worry about droplets of water splash on my face and could even skip patting (read more about ‘patting’ here). 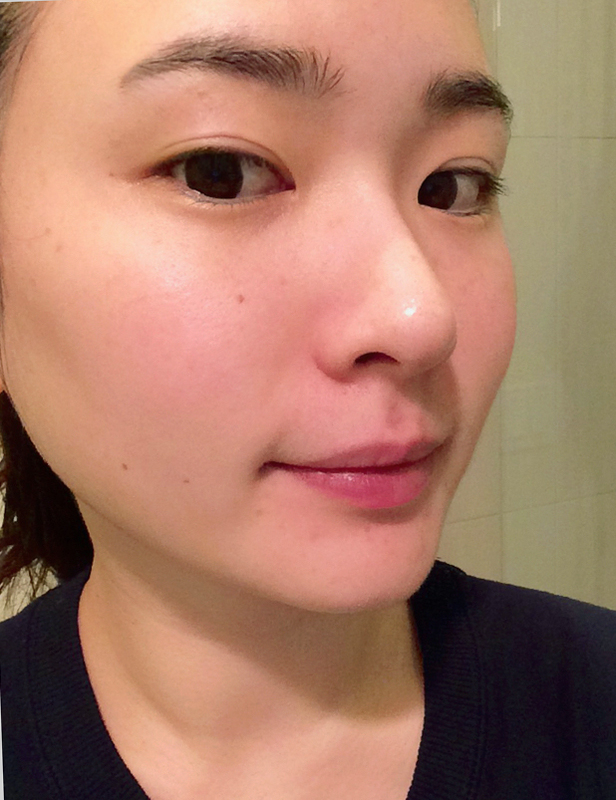 This is the test shot of my freshly hydrated skin right after spritzing a few drops. 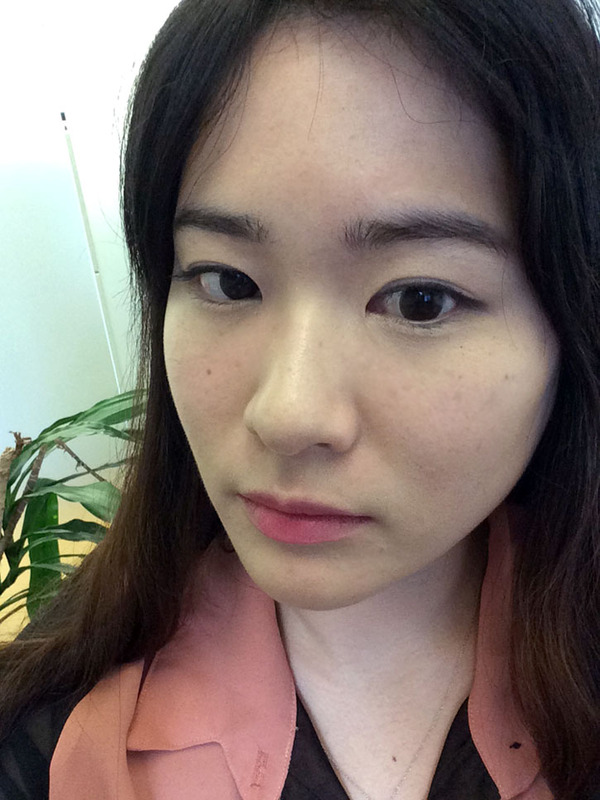 I noticed my skin looked more luminous without looking wet or shiny. 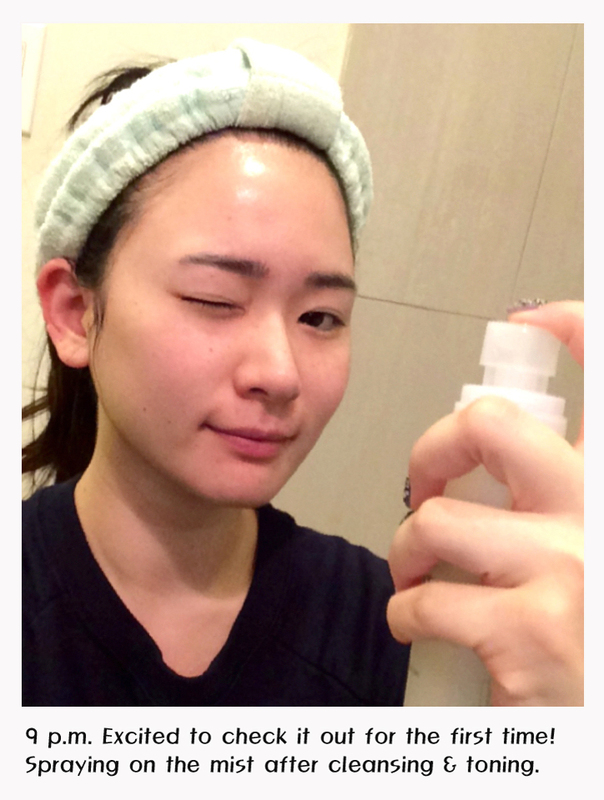 It also quenched my skin right away, when felt a little tight after cleansing. 8AM. Got up, cleansed, toned & moisturized my skin. This time I used the mist once again right before applying foundation, as mist can prep your skin into a smooth, plump palette, soothing any dryness or flakiness. 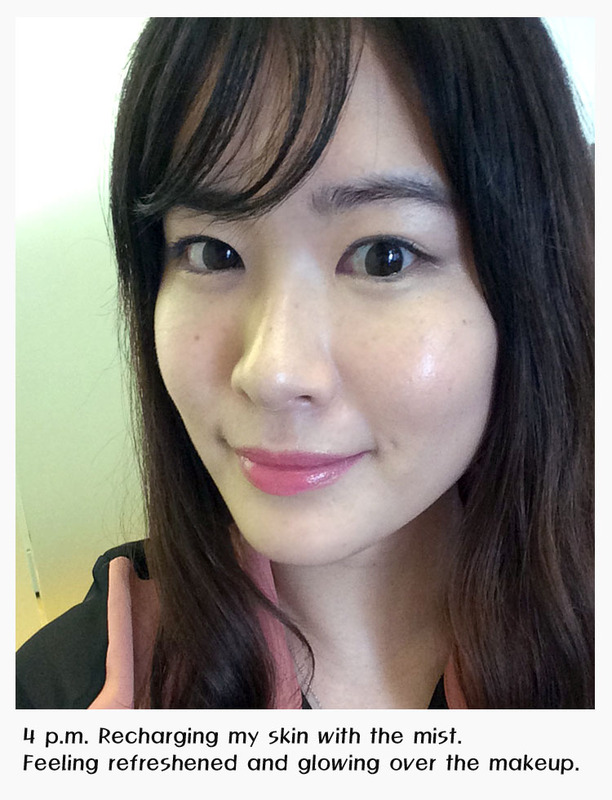 Indeed I felt that my foundation adhered to my skin and helped created a natural radiance. 4PM. I’m starting to feel a little greasy on my forehead and chin and can feel the afternoon sebum slowly creeping out. Also just feeling a little worn out from glare of the monitor and need a stretch. I took out the mist and sprayed on top of my make-up. First, I felt refreshed from the subtle herbal scent of tea tree and the cool feel of light moisture on my face. Because this mist disperses evenly and very lightly, I couldn’t even capture the water particles with my camera, but only the resulting radiance left on my face. I was more amazed by how my skin felt- it didn’t feel heavy with droplets of water and I also felt that it reduced sebum on my face, leaving behind hydrated and softly glowing skin. So overall, my first experience with the mist throughout a day was a big success, pleasantly exceeding my expectations. I didn’t even realize that my combination skin was craving moisture until this mist helped my skin feel much more comfortable and smooth. I’m definitely adding this mist to my daily skincare routine, especially when it can serve multiple purposes of toning, prepping, soothing, and refreshing your skin throughout the entire day. 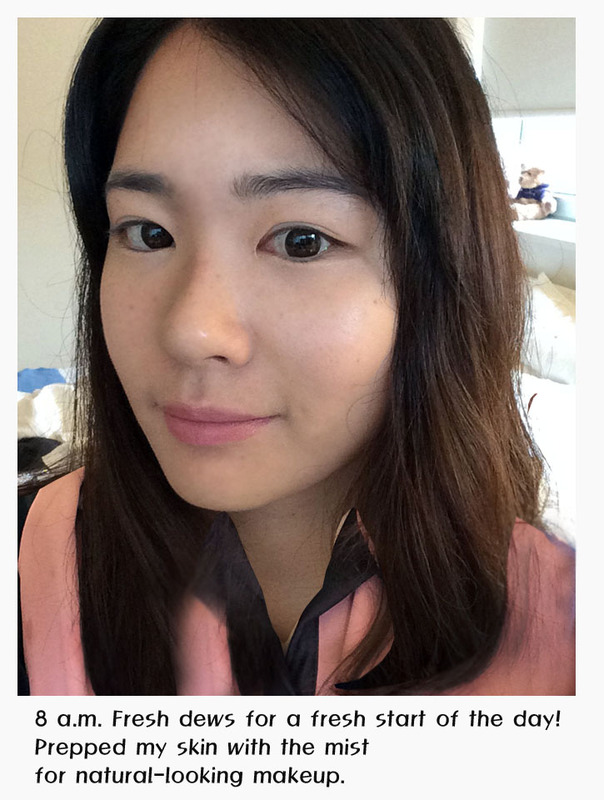 As skincare-conscious Seoulites now do, we might just start spotting beauty-forward women in the US to start slipping a mist spray into their purse for an all-day glow.